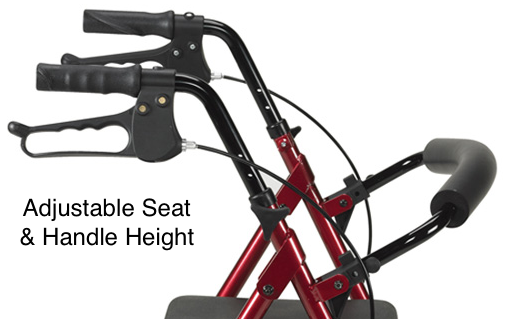 Features both seat and handle height adjustment to suit height of user. 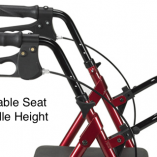 Handle height adjusts to suit user requirements. Anatomically designed, latex free handles allow comfortable grip. 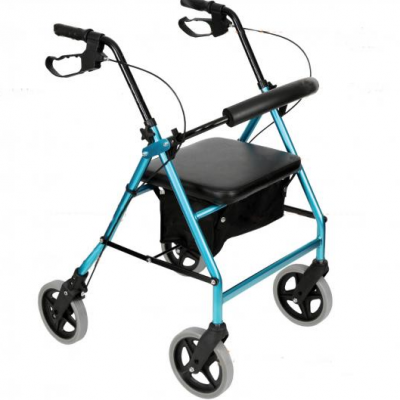 Arthritic friendly looped cable brakes activate effortlessly and are lockable for additional safety. 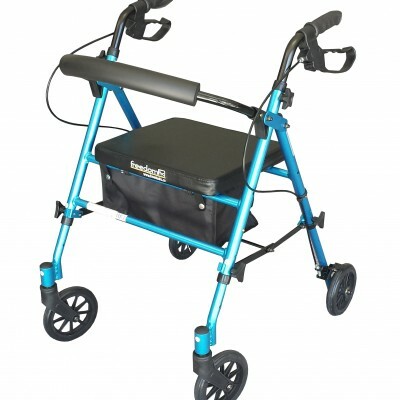 Padded seat flips up easily for access to storage bag or for folding. 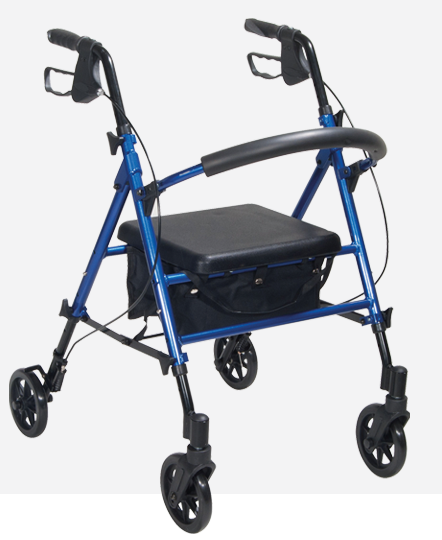 Curved and padded backrest offers comfortable support. Folds easily for storage / transportation. 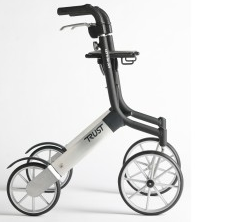 Solid 19cm (7.5″) puncture proof tyres provide increased manoeuvrability over various surfaces. 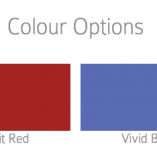 Available in Vivid Blue or Spirit Red finish (subject to availability).